Bible book should be read and believed. Avoid reading too many versions for it may end you up confused. Read line by line and try to understand every word of it. You can ask your teachers, masters, elders about something which you don't understand. But don't take anything for granted. A message understood wrong can be dangerous. As a Protestant, you better believe I wholeheartedly disagree with you. There is just so much you do NOT say! Does it not seem remarkable to you that without exception, everywhere Mary appears during the course of Jesus' ministry, He is at pains to establish distance between them??? (Matt 12:48, Luke 2:48-9, 8:19-21, Mk 3:31-35, John 2:4). I say he knew very well what the future held in elevating this woman's reputation beyond that which was intended, and thus, Jesus acts accordingly. The first order of business is that your statement that her faith was as perfect as a human's could be, falls flat from the get-go when Jesus tells her at age 12 that she ought to have known that he was going about his Father's business. 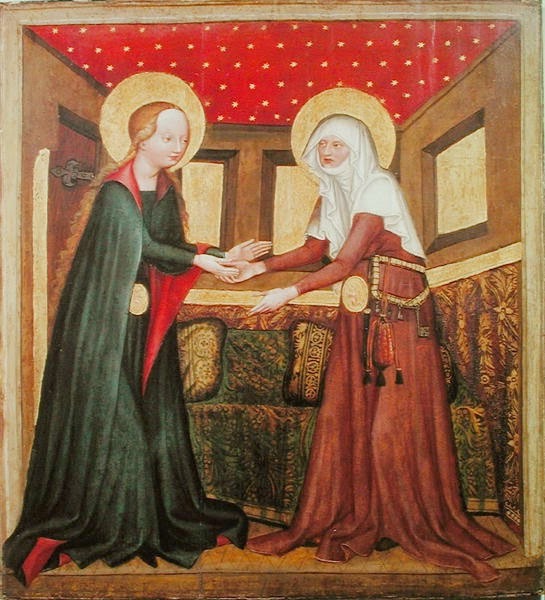 Next, if you truly want to arrive at a balanced and biblical Mariology, I would suggest that the passages I listed offer compelling evidence that weighs AGAINST the belief that Mary's status is higher than any other believer. If you reject this advice, I can only say to you as Jesus said to them, "you do greatly err, not knowing the Scriptures. "(Matt 22:29). In Matt 13:55, we are confronted with a line-up of the family: "Joseph, his mother called Mary, and His brethren, James, Joses, Simon and Judas...and His sisters..." Thus, Mary had 4 sons and at least 2 daughters. Might I remind you that if Luke had known of any decision by Mary to remain a virgin, (and by the time Luke wrote his gospel, Mary was WELL past child-bearing age, so he would know just exactly what the familial situation was) it seems indisputable that he would have used the word "ONLY BORN" son, as he did elsewhere, if an only child was indeed the case. I direct your attention to the statement that, instead, "she brought forth her FIRSTBORN son." (Luke 2:7). This is deliberately different from where we read later in Luke's gospel. Witness: three times we read of someone's ONLY child...."the only son of His mother" (7:12)....."his only daughter" (8:41)....and "he is my only child" (9:38). I say it to you again, if the Holy Spirit wanted it to be known that Jesus was an "ONLY" in chapter 2, it would have been made abundantly clear as it was in chapters 7, 8 and 9! ("For God is not the author of confusion" ...1 Cor 14:3). But "only" was intentionally NOT used precisely because Jesus had other siblings! Face it. 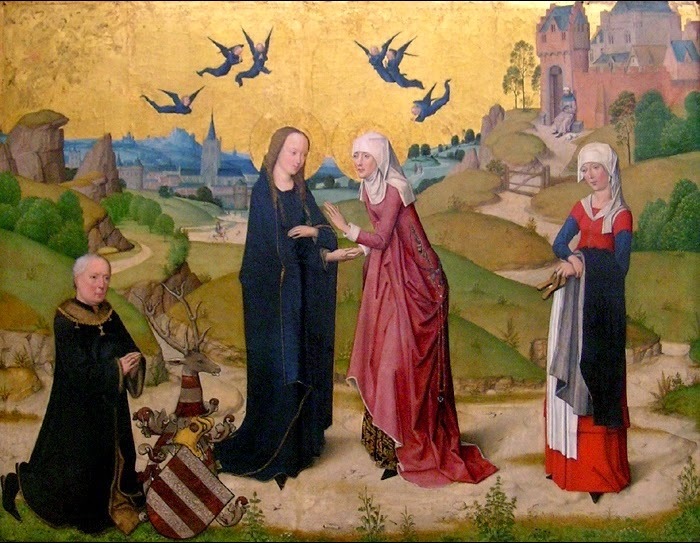 In addition, if the picture painted of Mary within RCism is true, we should have expected a different response from Jesus when one person shouts out from the crowd: "Blessed is the womb that bare thee!" (Luke 11:27). If Jesus wished to emphasize what this voice from the crowd had said, we might expect Him to say, "Indeed, she is even more blessed because of our biological ties." But He does not. Instead, when the crowd-seeker suggests that the mother of Jesus must be blessed because of her biological connection to Him, He emphatically points away from the "womb" (singular) that bare Him, to... "those" (plural) who hear the word of God and keep it. It definitely appears that this passage serves as a warning for all subsequent interpretations of the greatness of Mary. Certainly, if Jesus rebuffs this woman's comparitively minimalistic praise of her, then He would much more forcefully rebuff the inherent praise and unique status in such titles as Co-Redemptress, Co-Mediatrix, Dispensatrix of all graces, Divine Aquaduct, Celestial Ocean, Ladder to Paradise, ad nauseum, or the most popular, "Queen of Heaven" (a title and entity, by the way, utterly condemned in Jeremiah 7:18, and 44:17-25). Or how about the equally obnoxious prayer said after each Rosary declaring Mary to be "our life, our sweetness and our hope"? This is in DIRECT contradiction to the word of God which says Christ is our life (Col 3:4), our sweetness (Ps 34:8) and our hope (Col 1:27, Titus 2:13). The catechism's advice to bring "ALL" our cares to Mary ALSO flatly contradicts Scripture which tells us to do exactly the opposite (Phil 4:6-7,1 Peter 5:7, Heb 4:15-16). The answer Jesus gave to the person in the crowd is a distinct warning to the perceptive reader that He knew very well in the years to come her whole person would be blown out of proportion. It is a fact that the status of Mary is never elevated above the level of any other disciple and the notion of honoring her in any RC dogmatic sense, is entirely foreign to the N.T. writers, nor do they give her any sort of primacy in the early N.T. church. This same "polite downgrading" is also seen at the wedding of Cana, "Woman, what have I to do with thee?" While it is true that speculation abounds as to Jesus' intent in using this term, what most agree on is that it is not exactly the most flattering thing to be said. A Catholic commentator, making the most sense in my opinion, does rightly observe that, "Neither in antiquity nor today does the usage prevail of a son addressing his mother as "woman"....however, this would seem to indicate that Jesus did not wish the relationship of natural motherhood and authority to be the basis of Mary's dealings with Him in His public life and ministry of salvation." Well said! ("The Marian Significance at Cana" by S. Hartdegen, p. 91-2). As demonstrated above, the carefully chosen responses of Christ to His mother shatter any "unique relationship" between the two. By Mary saying, "They have no more wine", the RCC ALSO reads into this an entirely unwarranted theology of intercession, that, to the Protestant, strains the bounds of credulity. This statement implies nothing more than Mary's anxiety over the embarrassing situation for the bridal couple; she did not, in point of fact, ask anything of Jesus. Need I remind you that the miracle of the water into wine was "the FIRST of His miraculous signs" (John 2:11), so she could not have been expecting any sort of miracle. Therefore, it seems more likely her statement was simply a concerned observation, and not a request for anything, for to portray Mary as expecting Jesus to perform a miracle---something that until now He had never done---is completely anachronistic. "WHO IS MY MOTHER? AND WHO ARE MY BRETHREN? And he stretched forth His hand towards His disciples and said, "Behold my mother, and my brethren! For whosoever shall do the will of my Father, the same is my brother, and sister and mother." The import of these words cannot be underestimated in contradistinction to the "mary" of Catholicisim. Note well that His mother and brethren that came to see Him are seen as a unit, as though they are of the same household, and to posit that these "brethren" are in reality, "cousins" or "distant relatives" as some RC apologists desperately try to imagine, severly weakens the "punch line" (if you will) that Jesus delivers at the end. The intended effect of His answer is to direct his audience away from any notion of special status with Him through biological ties---indeed, and to sever those biological ties to establish a new family based on obedience to the will of God. His meaning is effecively, "She who bore me and grew up with me are not my mother and brothers; rather it is they who are doers of the Word. If that happens to include those who were part of my biological family, well and good."